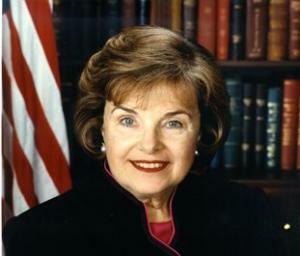 Dianne Feinstein Signs On as Cosponsor of STATES Act . The STATES Act (S 3032 ) has picked up a somewhat surprising 10th cosponsor: Sen. Dianne Feinstein (D-CA). The bill, introduced by Sens. Cory Booker (D-NJ) and Elizabeth Warren (D-MA), would allow states that have legalized either medical or recreational marijuana to do so without federal interference. Feinstein has long been a foe of marijuana legalization, but she has been changing her tune lately, and this is the latest example of her shifting stance. Poll Finds Medical Professionals Support Marijuana Legalization . A poll of medical professionals conducted by Medscape Medical News found majority support for marijuana legalization among doctors (54%), health administrators (72%), nurses (57%), pharmacists (54%), and psychologists (61%). Support was even higher for medical marijuana, with two-thirds (67%) of physicians and more than 80% among all other groups except pharmacists, who came in at 71%. Michigan Judge Issues Injunction to Keep A Hundred Dispensaries Open . Court of Claims Judge Stephen Borrello on Thursday granted an injunction that blocks the state from shutting down some 98 dispensaries until they are approved for state licenses. These are dispensaries that are in the midst of applying for licenses. They will now get to stay open until December 15. National Drug Use Survey Finds Drop in New Heroin Users, But Meth, Marijuana Use Up . The 2017 National Survey on Drug Use and Health was released Friday. Among the significant findings: The initiation of heroin use is down dramatically, fewer young people are misusing prescription opioids (down from 8.5% to 7%), but more people are using marijuana and methamphetamine. US Customs Official Warns Canadians Who Smoke Legal Marijuana or Work or Invest in the Industry Will Be Banned from Entering US . US Customs and Border Patrol official Todd Owen said Thursday that any Canadians who admit to having used marijuana, work for the country's legal pot industry, or invest in it will be barred from entering the United States. Canadian legalization goes into effect October 17, but Own said the US doesn't plan to change its border policies because of that. "We don't recognize that as a legal business," Owen said.